The group has developed and mastered a third party drop shipment model for its wide range of jewellery products and is now offering its services to retailers as well. We have partnered with online stores, catalogue merchants, departments stores, discount and whole sale retailers across North America and India. 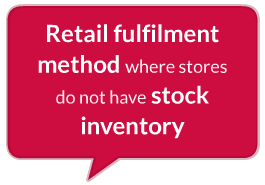 Drop shipping is a retail fulfilment method where stores do not have stock inventory. Instead, when a product is sold online, it orders the items to Suashish, which are then shipped directly to the end customer. As a result, the retailer never sees or handles the product. Wide selection of products - The group offers a wide selection of over 5,000 jewellery designs to choose from, along with high resolution product imaging, videos and full catalogue details. Thus, making it extremely convenient to add products to the online store without any delay and additional costs. Easy to get started - Suashish offers end to end solutions right from product selection and uploading to returns handling and customer service. Please find below services offered. Less Capital Required - Retailers do not have to purchase the product unless the same has already been sold and paid for by the customer. Low Overheads - Suashish charges a fixed per order processing cost leading to low overhead costs, which otherwise could be involving expensive warehousing, logistics setup and labour charges. Easy To Scale - Suashish currently services retailers with order quantities ranging from 1 to 5,000 a day.